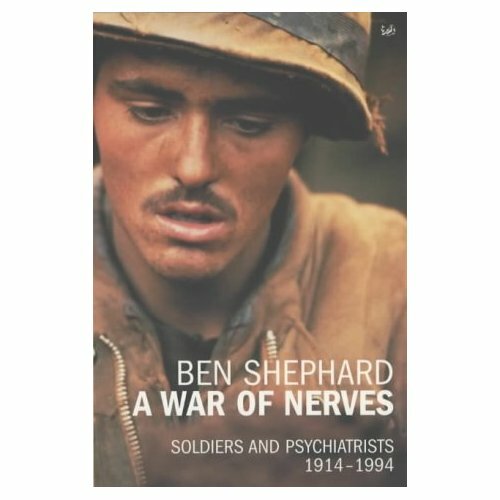 I am sorry to hear of the death of Ben Shephard, author of A War of Nerves. He died in October, but for some reason his obituary only appeared in the Guardian newspaper this morning. A War of Nerves cuts through many of the pieties about shell-shock and PSTD, and looks at the conditions, and their treatment through the years, objectively. He loved nothing better than finding a conventional windmill, and then ensuring that he didn’t just tilt it, but knocked it off its perch and into the sand. That’s a good epitaph for a scholar. I remember especially Ben Shephard’s caustic response when Andrew Motion, then laureate and feeling obliged to turn out something anti-war and obvious every November, mined A War of Nerves for quotations, took them out of context and strung them together as that dubious thing, a ‘found poem’. In Shephard’s book these quotations had been part of a rigorous argument. For the lugubrious laureate, they were just misery-fodder. This entry was written by George Simmers and posted on December 14, 2017 at 11:41 am and filed under History, Poetry, Shell-shock with tags Ben Shephard, found poetry, PTSD, Shell-shock, Sir Andrew Motion. Bookmark the permalink. Follow any comments here with the RSS feed for this post. Post a comment or leave a trackback: Trackback URL. Something he wrote in his essay “’Pitiless psychology’: the role of prevention in British military psychiatry in the Second World War” (History of Psychiatry 1999; 10; 491) has stayed with me for a long time. “Social attitudes have changed dramatically. In Britain in 1939, doctors retained a hieratic authority, while mental disorder was still, for most people, a source of shame and horror; psychiatry thought of as ’a queer activity carried out by queer people’. Today, ’the authority of the mass media has started to take precedence over what was once called medical authority’; and the emotions provoked by fear and stress have long since ceased to be private and shameful and become commodities to be traded in the marketplace of deregulated television and tabloid journalism. ’Trauma’ is the staple fare of the afternoon talk shows, the cheapest form of entertainment.